Linthicum Walks is a historic home and farm complex in Crofton Maryland with a 19th-century frame dwelling (part of which may be 18th century), a mid-19th century meathouse, a family cemetery dating to the mid 19th century and an arboretum. 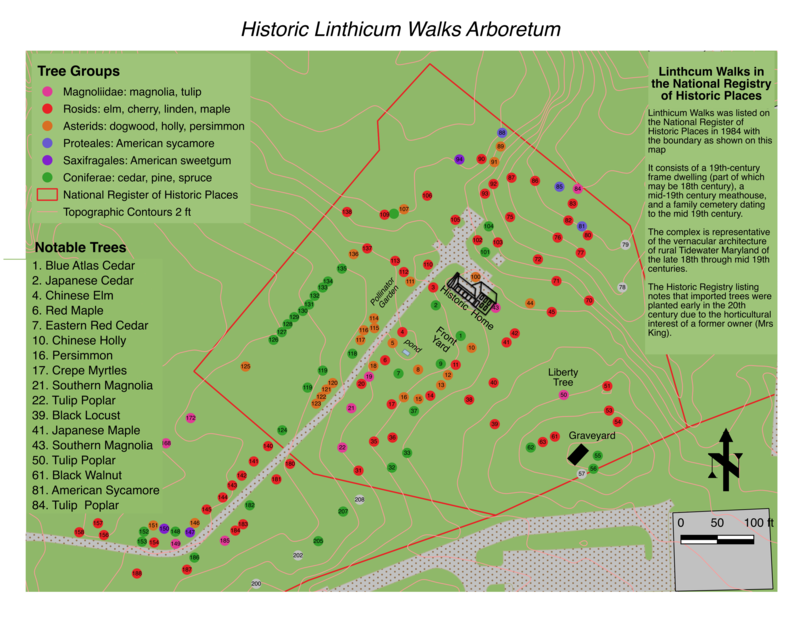 The main page of the Historic Linthicum Walks Arboretum provides a summary of the Arboretum and a listing of the trees in the Front Yard. Listed below are trees on the property beyond the front yard. A separate page provides a listing of the tree species and their higher order groupings.